Looking for some axe-tion? 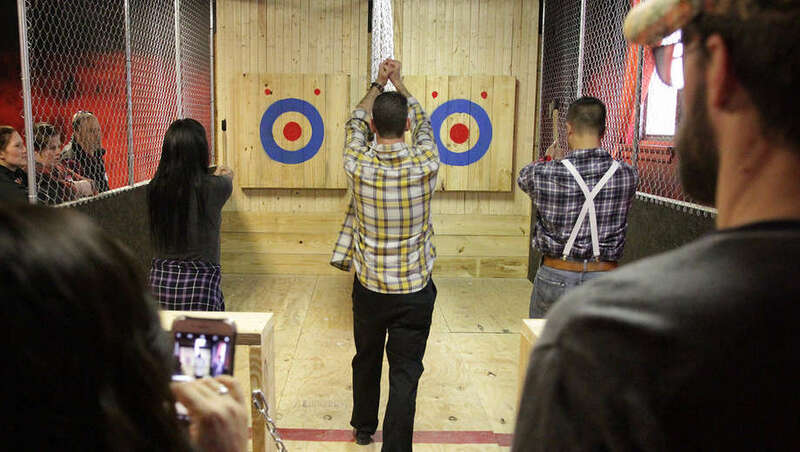 Ready to take aim at having fun by tossing an axe at a big target? Axe and you shall receive. Tampa now has a new venue that caters to axe-actly that. 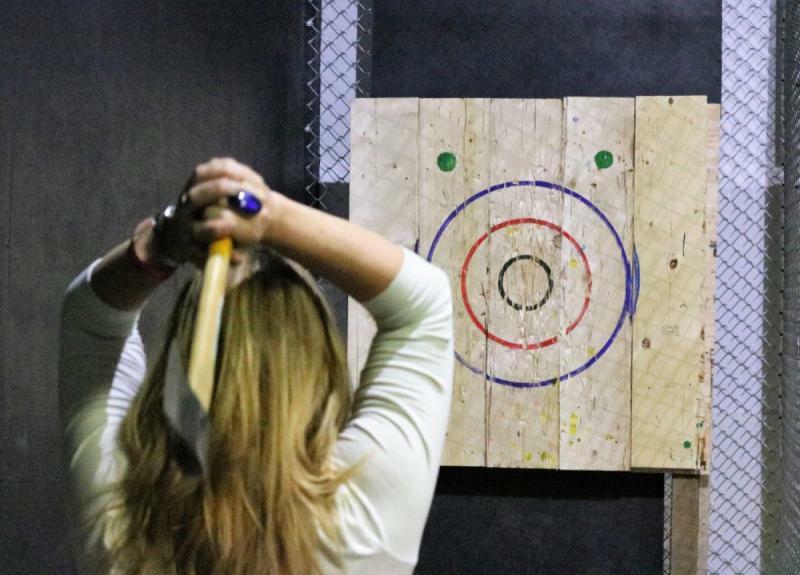 Axe Throwing Tampa has created a fully enclosed, air-conditioned space where people are welcome to learn proper axe-tossing techniques while competing in friendly matches, participating in team-building events, joining a league or just having fun. The Town 'n Country-based opened in April after its owners came across a similar concept during a trip through Canada. Wondering if what worked well in a cold climate could translate to a successful venture in Florida’s tropical heat, a location was sought, axes were bought and the doors were opened. There are a few rules that need to be observed. Participants must be eight or older. Close-toed, rubber-soled shoes are a must. And no alcohol may be brought, bought or consumed on premises. Do bring a passion for fun, keep an open mind and be wiling to listen to the tips offered by on-site axe-perts. Everyone gets coached before letting their first axe fly. All are taught a two-handed hold, how to use their body to create power and momentum and how to release the axe in hopes of hitting the bullseye. It isn’t all that easy but after a few practice pitches I finally landed one in the sweet spot. It hit but it didn’t stick. I still count that as a win! The location was no axe-ident. Kristi Collins also co-owns the “Can You Escape, Tampa?” escape room found in the same complex. Sessions for groups, couples, individuals or teams last 90 minutes and cost $35 per person. Take it from me, time - like the axes - will fly by. Reservations are requested but walk-ins are welcome based on the availability of the two ranges that can accommodate up to 12 at a time. So get ready to let your inner lumberjack loose while you let loose with the help of a one-and-a-half-pound axe. "Once people get the hang of it, they feel like it is a great stress reliever. 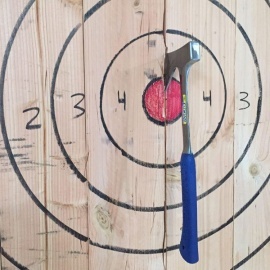 They are excited to gain the skills to launch an axe, watch it rotate and land successfully on the target," said Kristi Collins, who runs the business with her husband, John. "It is an adrenalin rush to throw a sharp metal object at wood." Looking for more great things to do - or throw - throughout the Tampa Bay Area? Simply register at 813Area or 727Area. It's easy and free!